Experienced theme-park goer and Takeout contributor Allison Shoemaker says much of a person’s dining decisions at a park come down to which stalls have the shortest lines. But dietary restrictions as well as allergies complicate that decision; she speculates that vegans at theme parks probably eat a lot of soft pretzels. 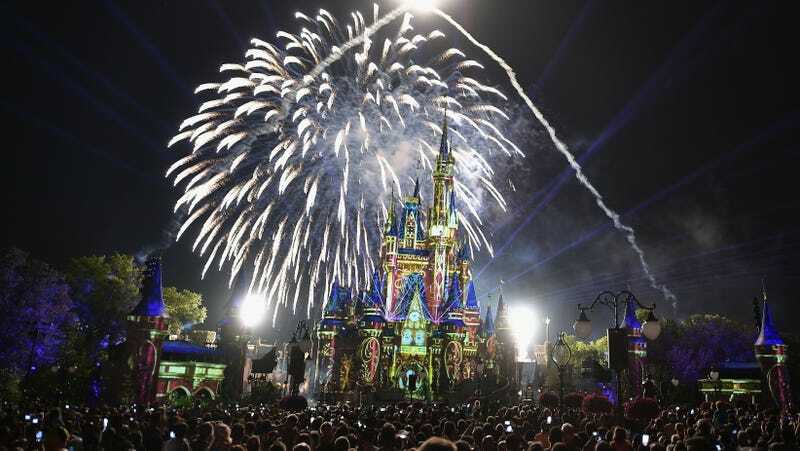 Navigating at least one theme park is about to become a bit easier for vegetarians and vegans, though, as Disney has released a “plant-based” guide to its Magic Kingdom park near Orlando, Florida. Per the Disney announcement, the pamphlet is available at Magic Kingdom restaurants, and guest relations kiosks and offices. It’s organized by “land”—Adventureland, Main Street U.S.A., Liberty Square, etc.—and then broken down by restaurant. Under each restaurant, the pamphlet lists which menu items are vegetarian with a special symbol that denotes vegan items. The vegetarian options total more than 70 items, some more substantial than others. Pecos Bill Tall Tale Inn & Cafe in Frontierland seems to offer the most diverse plant-based entrees, including Veggie Rice Bowl, Cauliflower Tacos, and a Plant-Based Southwest Cheeseburger. Throughout the rest of the park, vegetarians have a lot of salads to choose from. Comments on the Disney blog are overwhelmingly supportive, with only a few criticizing Disney for listing menu items that include dairy on its plant-based menu (though they aren’t marked with the vegan icon). One happy commenter writes: “This is SO incredible. We just went to Disney in February as vegans, previously vegetarians. We found a group on Instagram and Facebook specifically to help vegans and vegetarians find food in Disney . We had the most amazing food on this trip. Better than ever. We are thrilled that Disney is taking everyone’s needs in to account.” Seems like this is already being received much more positively than Epcot’s Hannukah pop-up menu. (Seinfeld voice) What&apos;s the deal with blistered shishito peppers?